OECD’s BEPS initiative is striving to bring uniformity to global tax rules to end existing rules that allow corporate profits to disappear to low tax environments. Challenge lies in ensuring OECD’s changes are implemented in a consistent and coherent manner. Deloitte survey found that 43.5% of European multinationals had already started planning to review or amend their international tax strategy in response to the BEPS action plan. Now that the OECD has an action plan for tackling international tax avoidance, how is the BEPS project evolving and has HMRC’s deal with Google undermined efforts to level the playing field? Rachel Willcox investigates. How can governments ensure that multinationals pay a fair rate of tax in the countries in which they operate? As experts around the world continue to ponder the fiscal and moral implications of this question, moves to level the international tax playing field were once again under the spotlight, after details of Google’s tax settlement with the UK tax office emerged. The Internet giant has agreed to pay £130m, representing 10 years’ worth of back taxes in the UK, prompting widespread criticism that, as a marginal rate of corporation tax, this is much less than what most domestic businesses pay. Although HMRC, citing confidentiality, is not spelling out how Google’s tax liability was calculated, the figure appears to fall way short of the 25 per cent diverted profits tax, or “Google tax” as it has rather ironically been dubbed, introduced in April last year. BEPS is not about putting an end to tax competition but it’s about fighting harmful tax practices and stopping the divorce between the location of profits and the location of activities. On the record at least, Google has said it is in favour of reforms to make international tax clearer. It is getting harder for the company to ignore the voices calling on multinationals to be more transparent about their tax arrangements. After initially hailing the Google/HMRC deal as a success, the UK Government was forced to admit that it had fuelled a “sense of injustice” that big businesses receive preferential treatment. Multinational companies have been playing countries’ tax regimes against each other for years. Complex corporate structures and business models can make it hard to pin down exactly where “profits” should be reported. However, there’s a growing consensus that multinational businesses need to do more to pay their share. The Google/HMRC deal sits uncomfortably against a backdrop of global initiatives – most notably the OECD’s ambitious Base Erosion and Profit Shifting (BEPS) project – to bring some uniformity to tax rules around the world. Over the last two and a half years, OECD members have been thrashing out details on ways to close the gaps in existing international rules that allow corporate profits to “disappear” or be artificially shifted to a low/no tax environment, even though little or no economic activity takes place there. 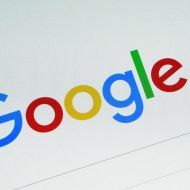 UK: The UK is moving quickly to implement the OECD measures, but HMRC has come under fire for agreeing what many see as an over-generous deal with Google. Meanwhile, the UK’s diverted profits tax represents a break from the international consensus. Australia: Australia is also moving quickly, with tighter anti-avoidance measures and an extension of its goods and services tax (GST) to intangible services purchased by Australian residents. Canada: Canada is bringing in a domestic legal override for tax treaties, in a bid to discourage “treaty shopping”. USA: The US is proposing changes to its “model tax treaty”, but some see it as lagging in its response to the OECD’s BEPS initiative. Bearing in mind that revenue losses from BEPS are estimated at $100-240bn annually, or anywhere from 4-10 per cent of global corporate income tax revenues, according to even conservative OECD estimates, the significance of its BEPS project is not to be downplayed. “Given the breadth of the recommendations, it is highly likely that the BEPS project will have a radical impact on corporate taxation on a global scale,” Robin Walduck, a tax partner at KPMG UK, told The CA. The OECD’s latest coup – a tax co-operation agreement signed on 27 January by 31 nations to enable automatic sharing of country-by-country information on companies’ revenue, profits and tax – may have been overshadowed, in the UK, by the Google controversy. Nonetheless, the OECD’s achievements to date are not to be sniffed at; 1,600 pages of documents detailing agreement by 60 countries to 15 action plans across a variety of areas, designed to clamp down on aggressive tax avoidance and profit shifting by multinationals. Getting to that point was no mean feat. Applying the rules is arguably the OECD’s real test, however, as BEPS Phase 2 kicks in and the tax harmonisation process starts to work its way through national parliaments. Some action plans will require agreement to a minimum standard; others, such as Transfer Pricing Guidelines, will require changes to existing rules; some will call for common approaches (hybrid mismatches and interest deductions); and others, such as controlled foreign company (CFC) rules or disclosure of tax planning, will rely on best practice being applied. “Change of this scale – both in terms of geographical reach and breadth of tax policy – takes time to implement in an effective manner, and it can be counterproductive to rush through new legislation that requires subsequent amendment or withdrawal,” Walduck says. The real challenge is ensuring that the OECD’s proposals are implemented in a consistent and coherent manner, while at the same time monitoring the impact on both double non-taxation and double taxation. The risk is that countries act unilaterally, as in the case of the UK’s diverted profits tax rules, or that they back off and cherry pick the rules that suit them when faced with potential downsides for their home-based multinationals. Either way, the result could be increased complexity and uncertainty in international taxation, more disputes and ultimately loss of faith in the whole process. The UK is one of the frontrunners in driving forward the implementation of the BEPS recommendations. Many areas of the UK’s tax system, including the CFC and tax disclosure regimes and the UK’s approach to dispute resolution, are widely considered to be “BEPS compliant”. The UK’s adoption of the OECD’s recommendations for the taxation of Intellectual Property and Transfer Pricing, and the associated documentation requirements, will happen near-automatically, Walduck says. The UK jumped quickly but a lot of that was driven by short-term political gain.The question is, can you wait for the BEPS programme to be implemented or will there be political pressure for unilateral action? Across remaining areas, there is evidence to suggest the UK is moving at a rapid pace to embrace the OECD’s recommendations. Draft regulations on country-by-country reporting have been issued, as has draft legislation to implement the hybrid mismatch recommendations, and changes are being made to the Patent Box regime. A consultation process is also underway on changes to the interest deductibility regime to meet with the OECD’s recommendations, with a proposed start date as early as 1 April 2017. Francesca Lagerberg, global leader – tax services, at Grant Thornton International, applauds the achievements of the BEPS project, but concedes that progress on international tax avoidance has been driven less by the desire to conform to the OECD’s action plan, and more by political pressure at a national level. Could the UK's regime backfire? Meanwhile, some commentators have questioned whether the UK’s enthusiastic implementation timetable could backfire. “If regime change is implemented in line with the OECD’s guidelines, this will represent a considerable departure from the current UK regime, and much remains to be resolved. The need for proper and thorough consultation with all stakeholders is paramount, to ensure that public concerns are addressed in a manner that is also sensitive to commercial needs,” Walduck urges. The UK is not the only country that has taken unilateral action ahead of the final package of measures published by the OECD. Australia has made huge efforts to change its rules to crack down on avoidance, and continues to be at the forefront alongside the UK. Its goods and services tax (GST), a value-added tax of 10 per cent on most goods and services sales, will apply, from 1 July 2017, to the supply of intangible products by non-residents to Australian consumers. At the same time, penalties for large companies that enter into tax avoidance and profit-shifting schemes have been doubled. In Canada, the government is proposing to implement the anti-treaty shopping proposal with a domestic law override of its tax treaties. The United States, in contrast, has been criticised for failing to be a meaningful participant in the OECD’s project. Proposed changes to the US Model Treaty – also known as the US Model Income Tax Convention, and used as a starting point in bilateral treaty negotiations with other countries – signal a desire by the US Treasury to become more actively involved in the BEPS conversation. Lagerberg believes, however, that national pressure on high corporate tax rates in the US, rather than the OECD recommendations, is more likely to result in legislative changes to domestic tax rules. If there’s one success the OECD can already lay claim to, it is that the risks surrounding international tax and the need to do the right thing by stakeholders, are now firmly on the boardroom agenda. “Boards don’t understand tax and as a result of BEPS, tax professionals are defining tax policy and strategy. They’re been thrust into the limelight and have become the moral conscience of the business,” says Crawford Spence, professor of accounting at Warwick Business School. As individual countries digest the implications of the OECD action plans, tax experts continue to second-guess changes to tax rules, while encouraging their multinational business clients to take action – in some cases urgent – to comply with new requirements and consider the ways in which they do business in different countries. A survey by Deloitte published in November last year found that 43.5 per cent of European multinationals had already started planning to review or amend their international tax strategy in response to the BEPS action plan, rising to 80 per cent in the UK. Although the rules relating to permanent establishment status are not due to emerge until later this year, John Macintosh CA, a tax partner in Deloitte’s Edinburgh office and chair of the ICAS International Tax Sub-Committee, warns they could also have a significant impact on medium-sized companies, which could face significant increases to their tax administration and compliance costs. “Companies need procedures to keep track of sales teams and identify when they create a taxable presence. And there could be disputes between tax authorities as to who has the tax rights. There is a bit of a risk that medium-sized companies could be put off from trying to grow overseas,” Macintosh says. This change could not only impact a group’s operating model, but also require fundamental rethinking of tax strategy, governance and transparency to ensure it is equipped for the new tax landscape. ICAS CEO Anton Colella is confident the BEPS package should, if consistently implemented by all major economies, go some way to providing clarity for businesses, but he stresses that raising more revenue for governments is not the sole purpose of these reforms. “Just as important is restoring public trust in the system, and in business,” Colella said. For the OECD, the challenge is to capitalise on international goodwill and keep momentum going. Ken Almand, head of transfer pricing at RSM UK, says despite a certain amount of cherry picking of action plans to suit domestic agendas, widespread consensus across the G20 prevails. Efforts at an EU level to tackle tax avoidance by multinationals should serve to galvanise support for the OECD plan. “But the moral arguments could have more impact on driving behaviour than any of this,” Almand adds. Despite recognising the scale of the implementation challenges ahead, Saint-Amans is also bullish about the prospect of success, even though the OECD has no regulatory powers or sanctions, other than naming and shaming. For governments, attracting inward investment with competitive corporate tax rates while being seen to come down hard on tax avoidance by multinationals remains a complex balancing act. “BEPS is not about putting an end to tax competition but it’s about fighting harmful tax practices and stopping the divorce between the location of profits and the location of activities,” Saint-Amans says. But as long as there are hazy definitions of where companies such as Google make their profits, they will have the opportunity to shift their money around to reduce their tax liabilities. As the secrecy shrouding the Google/HMRC debacle adds fuel to the fire of discontent, the need for transparency on tax has never been greater. This article is from the March 2016 edition of The CA.